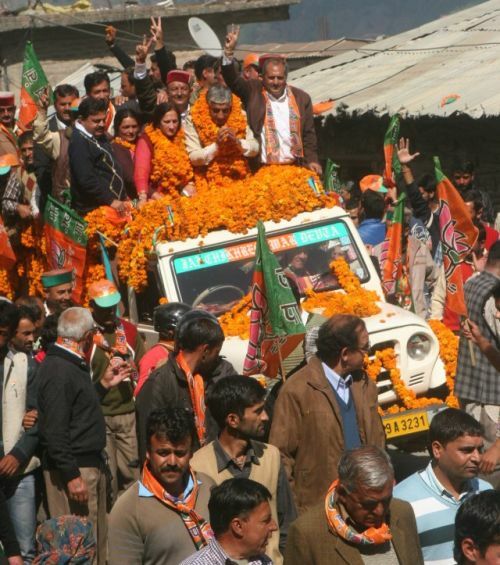 BJP Theog assembly segment candidate Rakesh Verma files nomination. 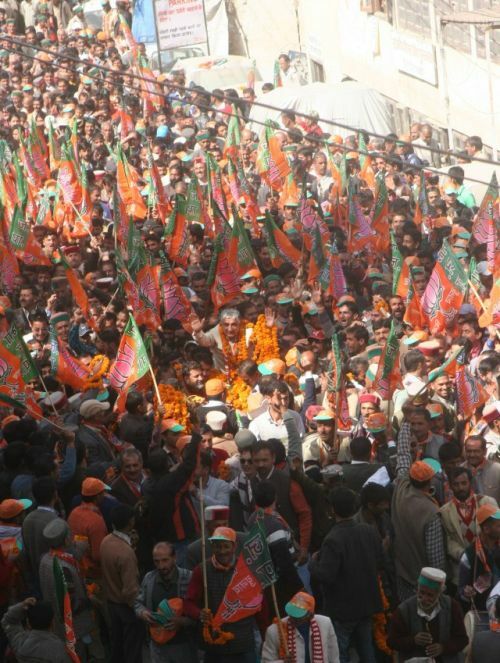 He was accompanied by thousands of supporters. 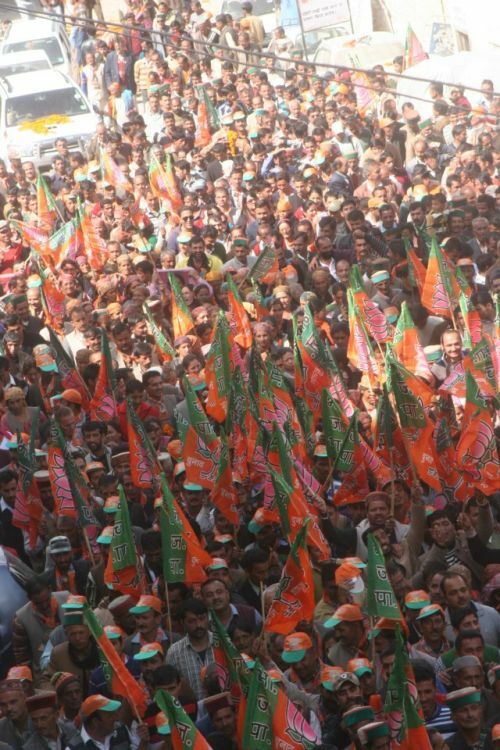 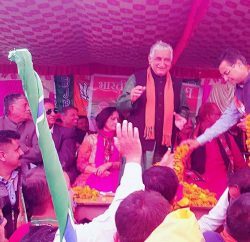 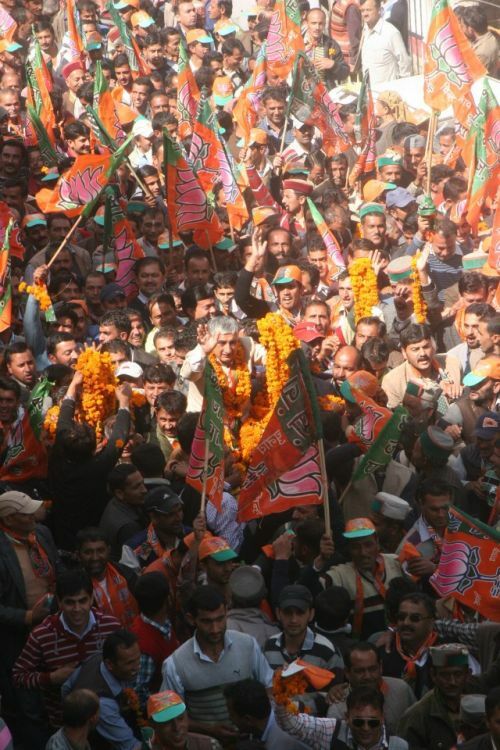 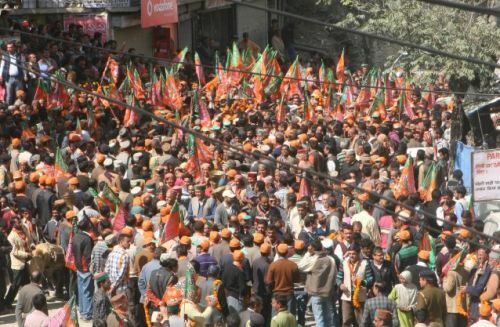 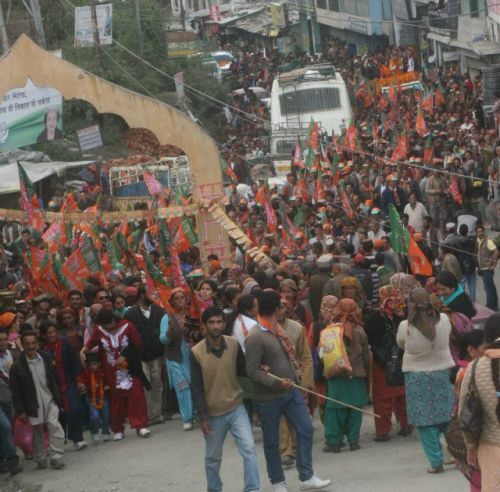 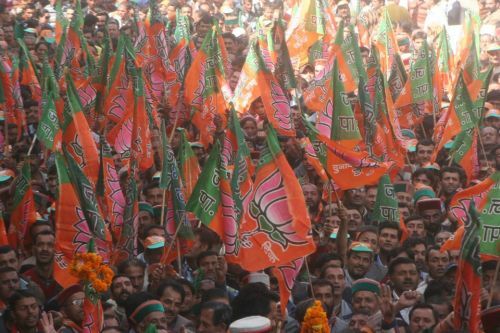 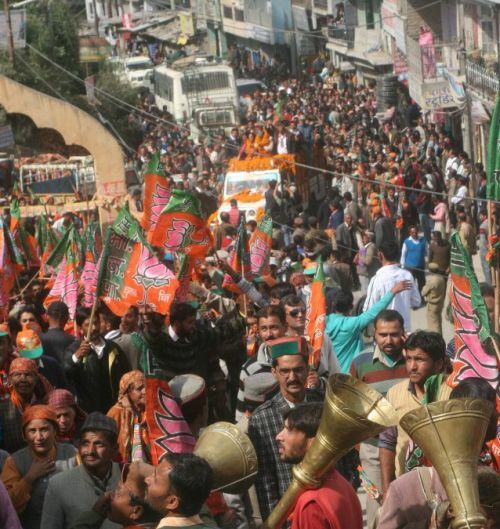 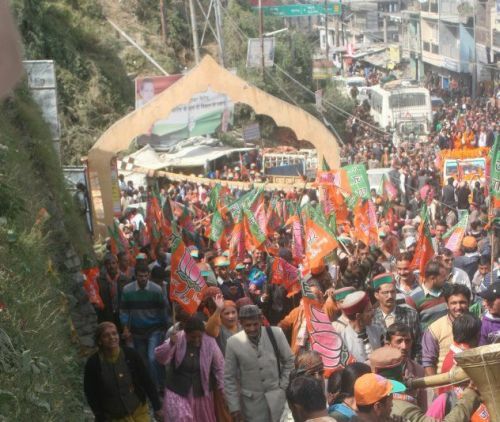 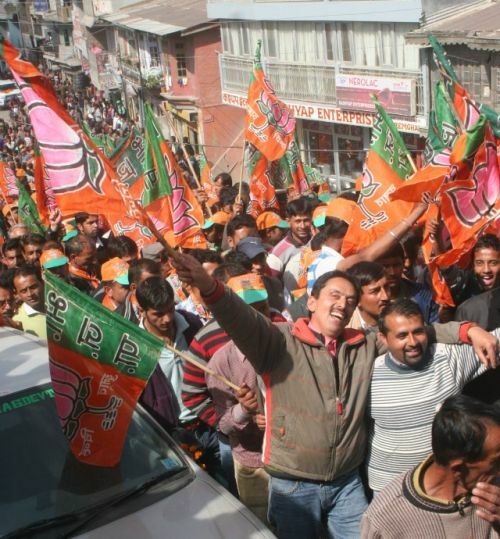 While addressing the supporters, Verma detailed out BJP Govt developmental work in its present tenure and also criticized UPA led Govt for biased attitude towards Himachal Pradesh. 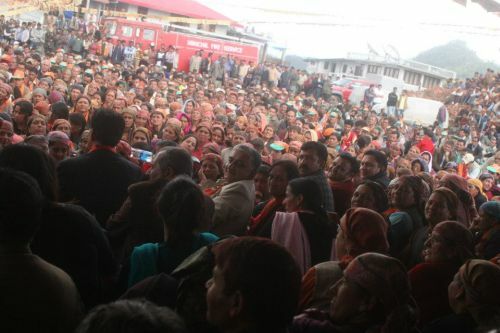 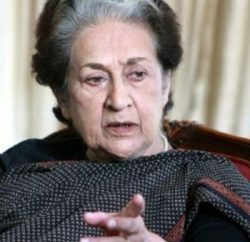 He lauded the role of Chief Minister for carrying out numerous developmental activities in state. 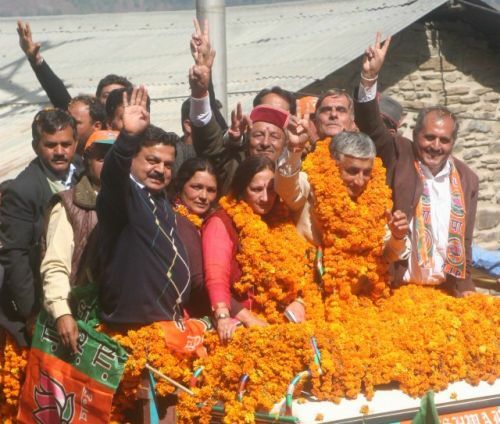 In his political career, Rakesh Verma has won three times from Theog, once he lost to Congress stalwart Vidya Stokes in 1998, but after that his growing popularity and ‘always ready to work’ attitude forced her to shift her base to nearby Kotgarh-Kumarsain constituency. 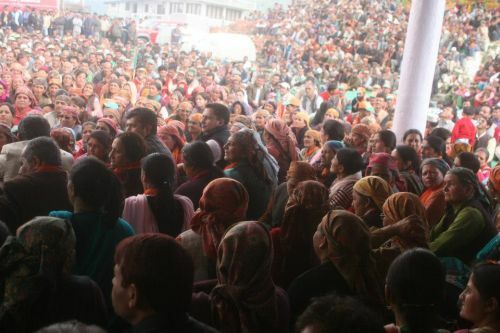 But now after the delimitation, political calculation has changed and most of the Kotgarh-Kumarsain region has been inducted into the Theog segment and Balson, which was considered Verma’s stronghold, has been merged with the Chopal segment for the votes only. 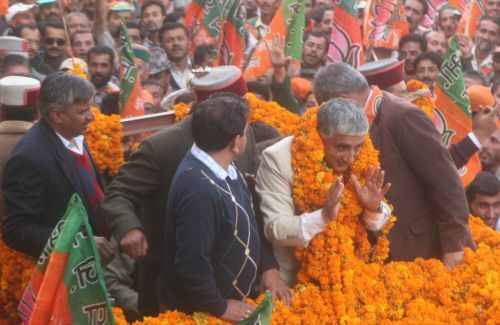 However, with the candidates like Rakesh Singha, CPM and Dr. Pramod Sharma, TMC, both from Kotgarh-Kumarsain can pose political problem to his opponent.